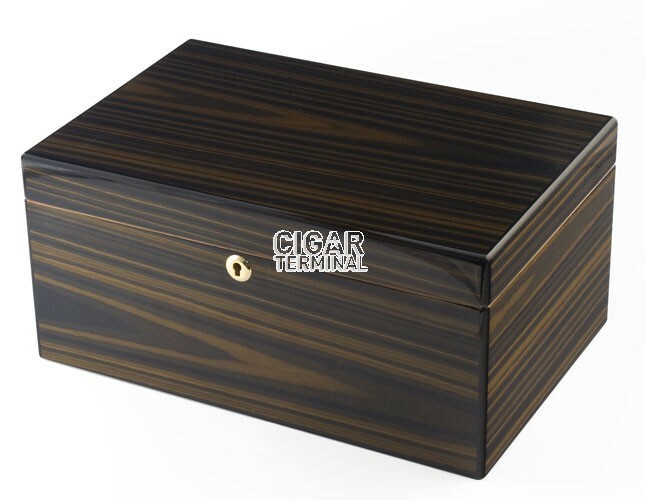 The Bourbon Street Humidor is made with a striped ebony finish that can remind one of the Mardi Gras festivities that pass up, down, and all around the famous New Orleans Strip. Many a cigar-smoking celebration is happy to be spent around the Bourbon Street Humidor. 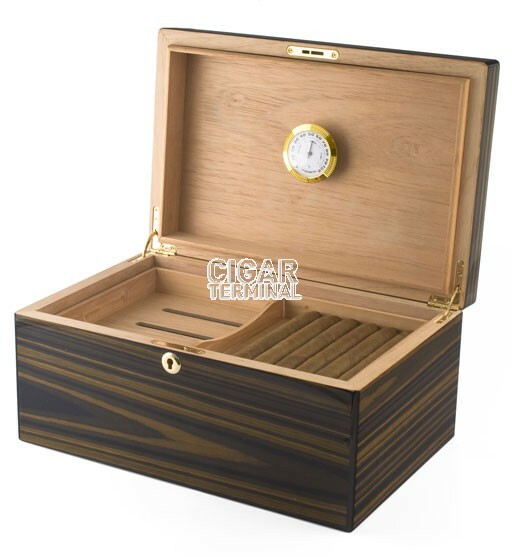 This cigar humidor can hold up to 125 cigars; the cigar humidifier keeps the humidity consistent (68-70% is recommended) and the hygrometer shows the current temperature, ensuring the freshness of the cigar. 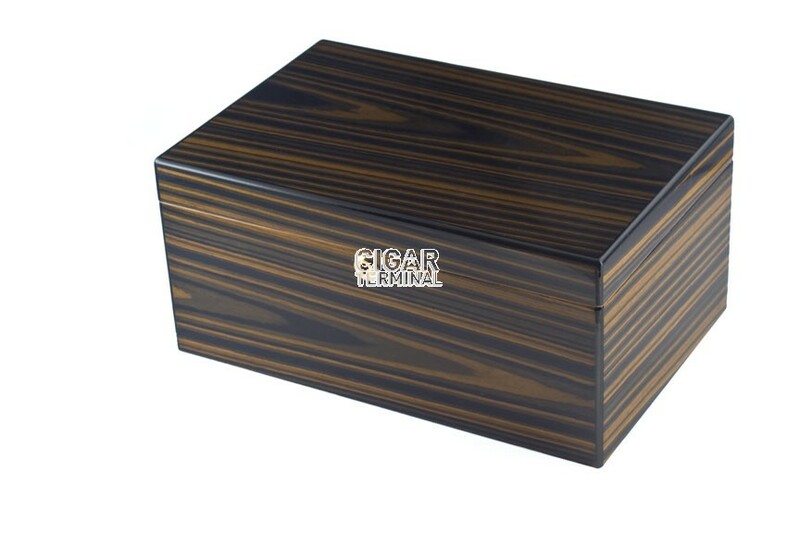 The Bourbon Street humidor is perfect for your man cave! 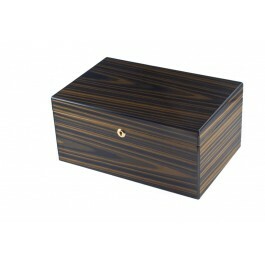 - Product Dimensions: 14" x 9 1/4" x 6 1/2"